Shutup Shutters is the home of the highest quality shutters available in the entire area. 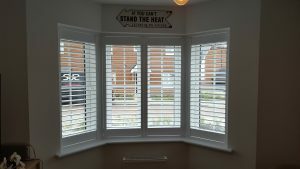 With a well established reputation for providing an unparalleled level of customer service along with a range of shutters West Wickham of exceptional quality. We offer our customers the chance to benefit from a range of shutters which are available in a huge variety of styles, materials and colours. Extremely practical and with the ability to effectively control ventilation, noise, light, heat and security, a particularly elegant product to enhance any setting, we can design your shutters to fit any size or shape of window. When making the decision on which of our range of shutters will best suit your property, there are a number of factors to consider. Our friendly and helpful team will guide you through the process to help ensure that you make the most informed decision possible resulting in a style which complements both your lifestyle and décor. Often our customers turn to us because they are looking to enhance the look of their property. It often comes as a very pleasant surprise to learn that shutters are always at least as practical as they are ‘easy on the eye’. They also offer a wealth of benefits ranging from a reduction of maintenance when compared to windows right through to adding value to your property. 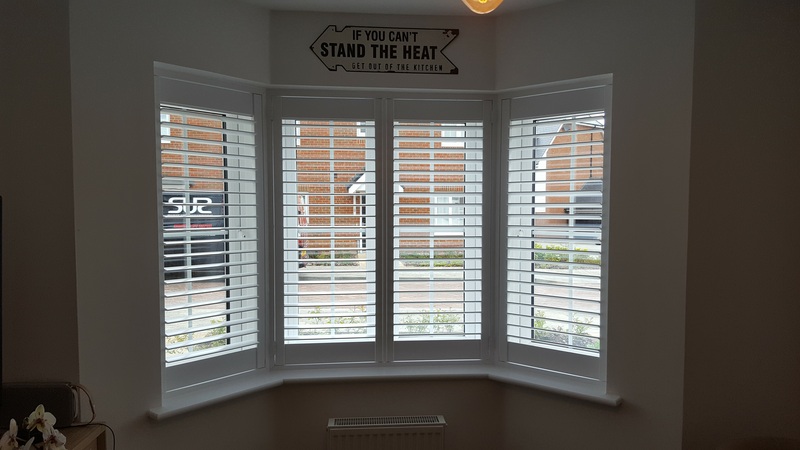 Specialising in providing customers throughout South East England with a choice of modern and stylish window shutters, we have an outstanding reputation for both supplying and installing a huge range of different handcrafted wooden shutters. Choose from the following styles and you are certain to find something to fit your unique and specific needs. At Shutup Shutters, we take great pride in our ability to help improve the homes, offices and properties of our clients with affordable window furnishings. It is our constant goal to provide a quality personal service offering outstanding value from the first time that you make contact with us right through to the completion of your installation. We cover all of the South East England, London, Essex, Sussex, East Sussex and Kent. For more information regarding the areas that we cover, please click here. If you would like any further information regarding our shutters West Wickham products and services, please don’t hesitate to contact us on Tel. No. 07951 418648, via our contact page, or via Facebook, and our helpful and friendly team will answer any questions that you may have.